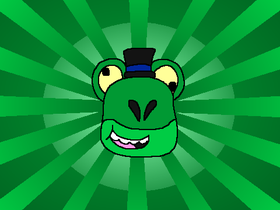 I'm a weird creeper that has an addiction to DHMIS, FNaF, Sonic, animatronics, Baldi's Basics, and Flippy H̶o̶p̶p̶e̶r̶o̶g̶ the Frog (That green guy I sometimes spam). Not much really. Don't expect me to make any new projects as I really have no drive to do so. I'm still going to be here though. So here's what's going on in my life right now.